Prime Minister Ranil Wickremesinghe is to meet IGP Pujith Jayasundara today over the controversial cellular phone call the IGP had made with reference to an arrest by the FCID. 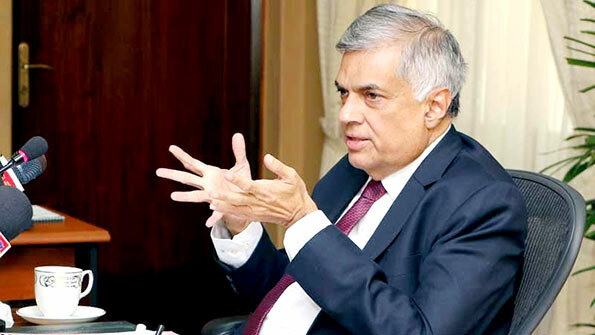 Prime Minister Wickremesinghe informed Parliament today that he would discuss the matter with the IGP. Responding to a question raised by JVP leader Anura Kumara Dissanayake regarding the alleged phone call, Mr. Wickremesinghe said an investigation could be launched if a complaint was lodged over the matter. Speaker Karu Jayasuriya told Parliament that he too would meet the IGP next week over the matter. Why should the PM discuss the issue with the IGP? The IGP reports to the independent Police Commission and the Commission should call for an explanation form the IGP, conduct an enquiry and take appropriate action. Again, why only pursue the IGP over this matter? Why let the Minister who was at the other end of the telephone call go scot free? This Minister was perverting the course of justice and is considered to be the worst form of mis-rule. The PM and the President should discuss the issue with the Minister and take appropriate action. Dear people of Sri Lanka, I can safely predict that this incident will be swept under the carpet; it will be forgotten in a couple of days. Ministers will continue to interfere in the duties of Public Servants. The so-called Independent Commissions are a load of ‘Bu********’. Bu********* galore, my dear people. President/PM should sack the Minister who made the request to the IGP to pervert the course of justice. Independent Police Commission should discipline the IGP for listening to the ars******* Minister. We, Sri Lankans are waiting for your resignation, mate. We the Sri Lankans are waiting for your sacking, mate. We know that you are a close mate of the Big Green Elephant Boss. Who cares, mate? As long as nincompoop such as you, the IGP and Minister are leaders of this nation, we have no hope. So please, stupid IGP and stupid Minister, please resign.